This ticket is valid for one visit to EITHER Typhoon Lagoon OR Blizzard Beach. Not Valid for park hopping. Ticket must be used by 12/31/2019. This ticket is valid for one visit to EITHER Typhoon Lagoon OR Blizzard Beach. Not Valid for park hopping. This ticket is BLACKED OUT on May 25, 2019 - September 2019, 2019. Ticket MUST be used by December 31, 2019. 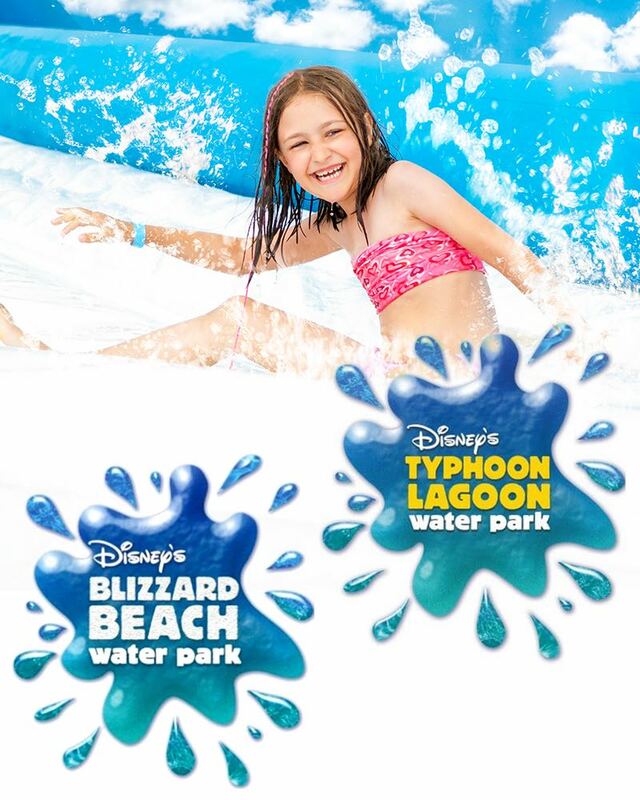 Disney Water Park Tickets are Valid for 1 Day of Your Choice to Blizzard Beach or Typhoon Lagoon. Disney’s Blizzard Beach Water Park is a ski resort on the meltdown, with fun on every slope. You can sunbathe on a snowy (white sand) beach, float down a tranquil river, or challenge the slushy slopes of Mount Gushmore. There’s even a special area created just for little ones with kid-sized water slides and a snow-castle fountain. Not to mention, lots more adventurous rides the whole family can enjoy together. Disney’s Typhoon Lagoon Water Park is a tropical paradise that long ago was transformed by a storm of epic proportions into a one-of-a-kind oasis of pure excitement. Glide down a lazy river, relax on a sandy beach, plunge down rushing rapids or test your mettle against the whitewater thrills of Miss Adventure Falls! Even the little ones have an area just for themselves in the appropriately named Ketchakiddee Creek.